I've been raising miniature goats for over a decade. I started with Pygoras in 2004. I love their fleeces and learned to hand spin their fiber. 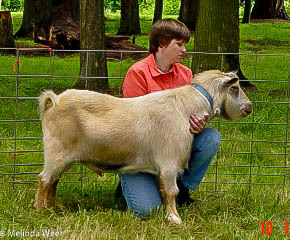 But, the goats that really stole my heart were the Nigerian Dwarf goats. I prefer the well-mannered temperament of the dairy goats. I also appreciate that dairy breeders are often very selective in which animals they choose to breed for their lines. Good conformation and adherence to breed standard are important to me. 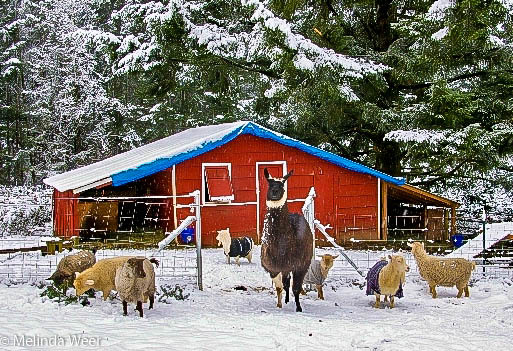 I keep a small herd of Nigerians on our five-acre farm in Poulsbo, Washington. I occasionally have goats for adoption as I breed a couple does a year for milk production. Our livestock are our pets as well as producers, and they also play an important role in our homeschool education. Melinda Weer with Pygora buck named Spike at the Bold and Beautiful Buck Show in Albany, Oregon. 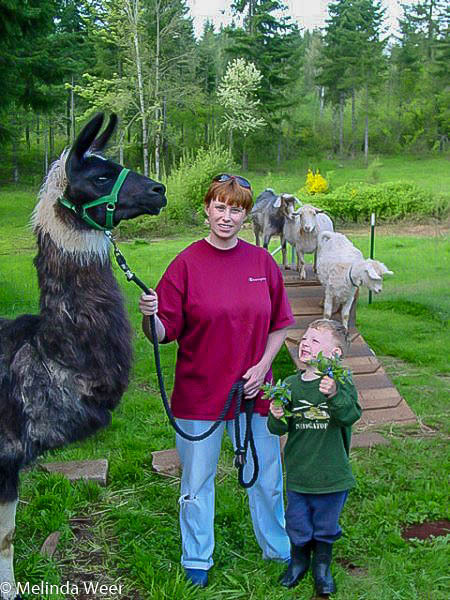 Melinda Weer with son and guard llama Cassie at Goat Mountain View farm in Sandy, Oregon. Melinda Weer with champion Pygora wether named Sage at the Oregon Flock and Fiber Festival at the Clackamas County Fairgrounds.